Land that is not farmed or irrigated. Land that is not forested. Land not covered by glaciers, solid rock, concrete or asphalt. Rangeland includes grasslands, savannas, tundra and open woodland. Is a “kind” of land~not a land use. What are the five rangeland types in Idaho? What are some of the benefits or uses of rangeland? Recreational uses–hunting, fishing, hiking, biking, off road vehicles, bird watching, etc. How many species call the range home? Herd districts typically occur only on land that lies within city limits, but are defined at the county level. Any land not included in an active herd district is open range. Is designated by county officials to prohibit animals from running at large, as they are permitted to on open range. Must be created, modified, or eliminated by county commissioners. Must be enclosed by legal fences and cattle guards. A “legal” fence is defined in Title 35, Chapter 1. Does not apply to livestock that roam into the district from open range unless it is enclosed by lawful fences and cattle guards. To find out about herd disticts and open range in a specific county, contact the local county commissioners office. Who manages Idaho's public rangeland? 1905 The Forest Service was created to manage forest lands, which included grazing practices. It is a multiple use agency under the U.S. Department of Agriculture and is responsible for 191,644,936 acres of land in the National Forest System. This is 8% of the nation’s land. This act recognized the importance of managing the use of public grazing lands and sought the improvement of rangelands. Grazing Service, a Division of the Dept. of Interior established to work with ranchers and manage grazing lands. When Idaho became a state in 1890, the federal government granted 3.6 million acres of land to be managed for maximum gain in terms of both resources and revenues. Not actually owned by state of Idaho–held in trust for the specified beneficiaries. Public school lands currently represent about 83% of the 2.4 million acres of endowment lands. Revenue for the endowment lands provides up to 10% of the annual costs of maintaining Idaho’s public schools. Permanent Fund contains over $700 million-the proceeds of land, timber, and mineral sales. Income Fund contains interest from investment of the Permanent Fund-appropriated by the legislature directly to the beneficiaries. Idaho’s public range resources are continually improved with money from a designated improvement account, ensuring the land’s long-term productivity. What is the basic concepts rangeland management? 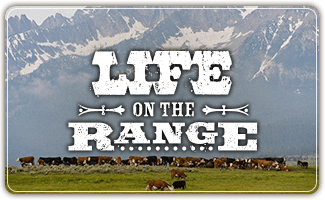 What wildlife species live on the range? Of the total species of animals in the U.S.
38% fishlive in non-forested rangeland ecosystems. Why do we need range science for management of rangelands? To understand the physical, biological, and social processes that affect rangelands.To discover principles upon which to base the wise use of rangelands. Managers must integrate scientific knowledge with ideas, hunches, traditions, etc., to make wise decisions. dormancy Deferment – allowing plants “rest” during the growing season. In general, proper grazing use is removing no more than 50% of the annual growth by the end of the grazing season. refers the number of animals a piece of land can support. This should always include wildlife utilization. How much forage for livestock does the range and pastures provide?